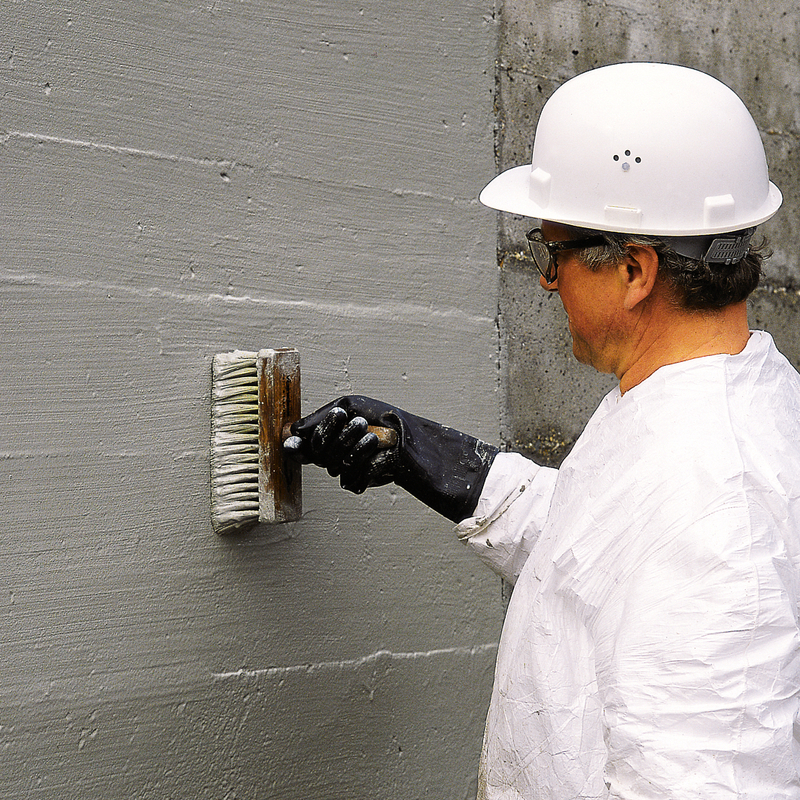 A BBA certified, cementitious, waterproofer supplied ready to mix with clean water to provide a slurry coating that provides protection against active or passive water pressure on concrete and masonry surfaces. Typical areas of application include foundations, slabs, retaining walls plus drinking water structures. Waterproof Triton Vandex BB75 is composed of cement, quartz with graded grain-size distribution and selected additives. Bonding capability is excellent making it suitable for horizontal and vertical surfaces. It is durable, resistant to frost and heat after setting, but still permeable to vapour. Application can be made by brush, trowel or suitable spray equipment to sound, open pored, moistened surfaces. Please see technical data sheet for detailed information.